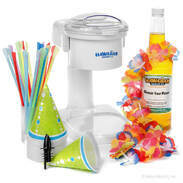 When you are making snow cones, there is more to it than just preparing the ice using your machine. 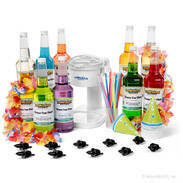 Snow cones are certainly not complete without the accessories�flavored snow cone syrups, snow cone cups, bottle pourers, and spoonstraws. 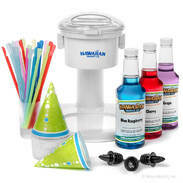 That�s why you have a huge advantage with a Hawaiian Shaved Ice snow cone machine package, which contains the easy-to-use S700 snow cone machine as well as these essential supplementary materials. 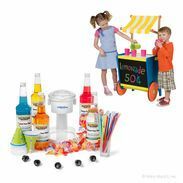 Whether you have just discovered the joy of snow cones, or you have been a faithful consumer, you will find the perfect package for your needs. 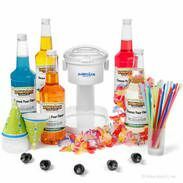 A Snow Cone Starter Package is great for a novice, the kids will love running their own snow cone stand with our Roadside package, while a snow cone connoisseur will jump for the Big Kahuna Snow Cone package! Everyone of all ages will appreciate the chance to make, serve, and especially, eat their very own snow cones. Take advantage of these delicious deals, and get ready to chill out!